"Non-iron, breathable and smart with a smidgen of comfy stretch: these pants tick all the boxes." 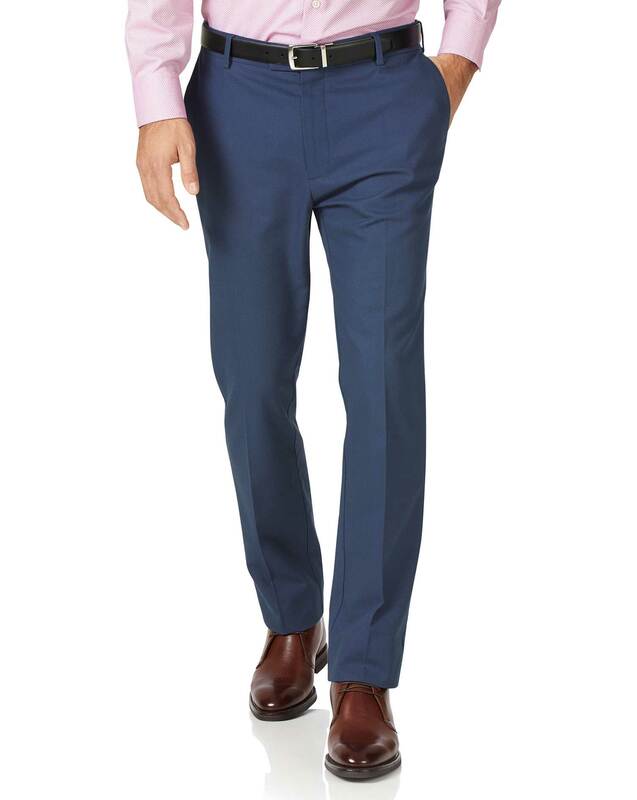 Response from Charles Tyrwhitt: I'm sorry to see these trousers were not to your liking, but thanks for sharing your feedback with us. You may be very keen to know that we are actually re-launching our casual trouser range next season - around August time. We've been told by the Buying Team that the new trousers are going to be absolutely brilliant and I'm sure you will agree if you give them a try! In the meantime, you are welcome to return these to us for a refund or exchange. Huge but fixable by a competent taylor. Response from Charles Tyrwhitt: I'm certainly sorry to learn you did not enjoy the pants you purchased from us recently. This a real shame as we put great care and love into creating our products, and want our customers to love them too! We appreciate, however, that not every one will be a hit and we'll be sure to take your feedback carefully on board. We have a brand new trouser range launching later in the year, so I hope you will give those a try and let us know how you get on with them. Response from Charles Tyrwhitt: I do apologise that your trousers have arrived in a slightly longer leg length than expected. Due to being cotton, it is likely the trousers will actually shrink a touch after washing so we do provide them with an extra allowance for this. Hopefully, they will fit you perfectly after a couple of washes but if not, you are always welcome to return them to us under our no quibble 6 month guarantee.